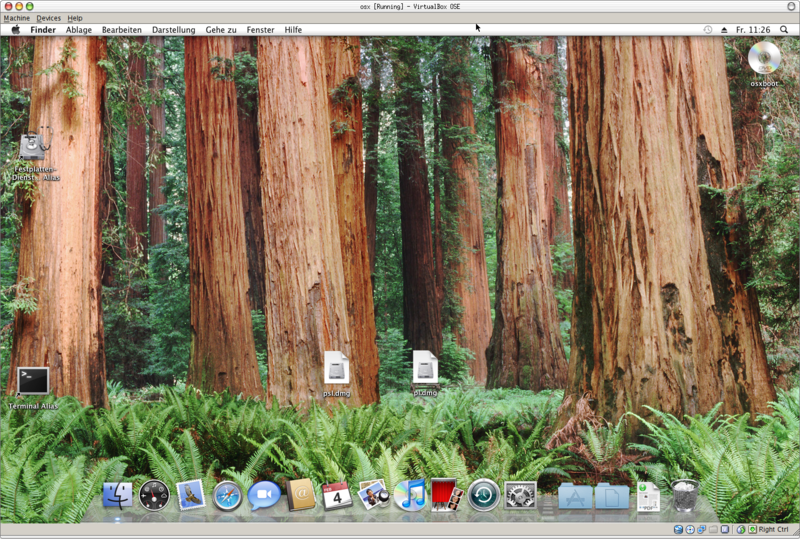 If you have a triple boot mac mini with OS X, Windows and Linux it might be useful to run OS X inside VirtualBox when Linux or Windows is running. 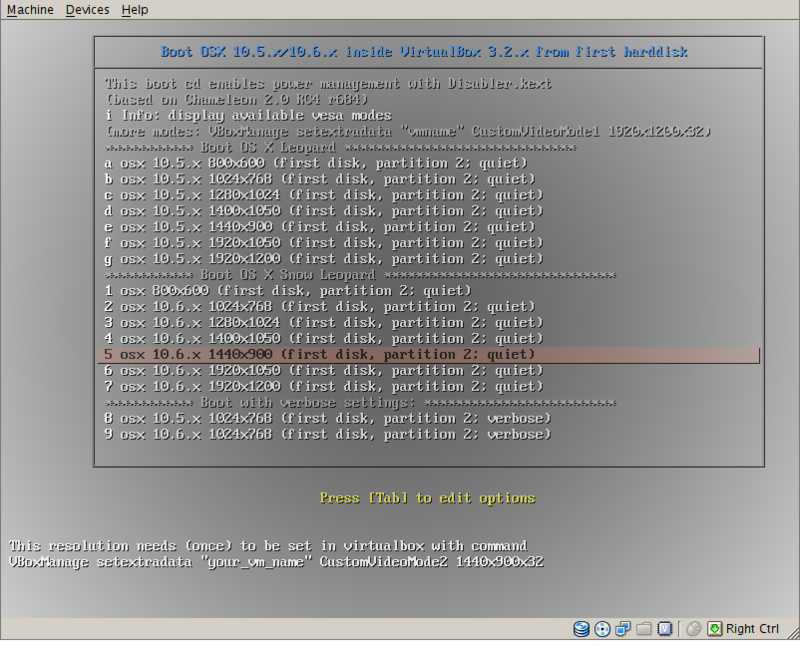 EFI boot can be disabled in system settings of the guest vm. 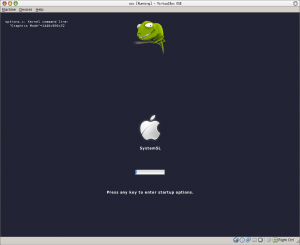 But then you need a BIOS bootloader for the OS X kernel like Chameleon which seems to be a very active project. 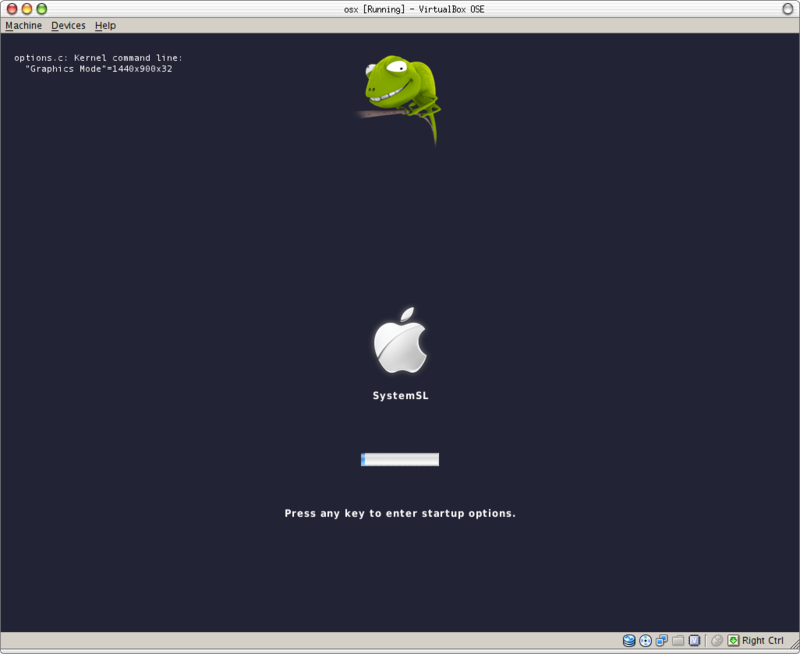 The chameleon boot loader (2.0 RC4 r684) has lots of usage setups. But many of them are only documented by their source code. Google, howto isolinux, should give answers how a bootable isolinux cdrom image can be created. Known bug: “About this Mac” system information crashes. Posted by spblinux on January 31, 2011 at 01:58 under Uncategorized. Make the usb connection available to the vm. Make a shared folder to access data on the usb storage device. 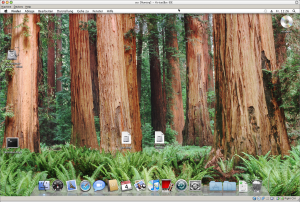 Give the vm direct access to the usb disk. Usb inside guest also has performance drawbacks. So it is worth to fiddle with the command line to get direct access to disk partitions. Use host I/o-Cache has to be enabled for the controller of this disk! If the vm cannot be started because of disk access error the partitions of disk1 have to be deactivated again with the hard disk utility program. The system disk /dev/disk0 would need root access rights; other disks can be accessed as user. Posted by spblinux on January 12, 2011 at 23:02 under Uncategorized.